Is your boat safe? You can check for documented and alleged defects for all boats manufactured in or imported into the United States essential information for boat owners or those considering the purchase of a recreational vessel. Information on all recreational boat manufacturers and importers in the U.S. and Canada. The branch is part of the Boating Safety Division and is responsible for tracking safety issues with recreational boats and equipment. 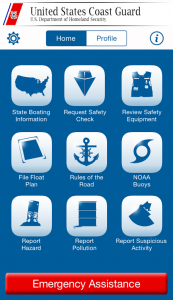 Useful alerts on many recreational boat and equipment concerns. Marine Safety alerts are intended to quickly advise the public of conditions that, if left unaddressed, pose urgent threats to safety in fleets of vessels (this includes recreational boats) or particular types of operations and propose voluntary actions for elimination or mitigation of those threats.